Pilates is a low impact form of exercise that can make a huge impact on your health and wellbeing. Pilates is much more than just a workout. Not only does it sculpt your body, it is a mindful form of moving that connects you to your breathing, clears your mind, gives you energy, and provides inner serenity. Pilates will condition your body and improve your performance level in whatever you do. It’s for the runner, the athlete, the Yogi, the dancer, the biker, the golfer, adults, seniors and children, by emphasizing proper breathing, correct spinal and pelvic alignment, and concentration on smooth, flowing movement, Pilates makes for a complete mind-body workout that can revitalize your energy and health. Join us for a fun Pilates workout. 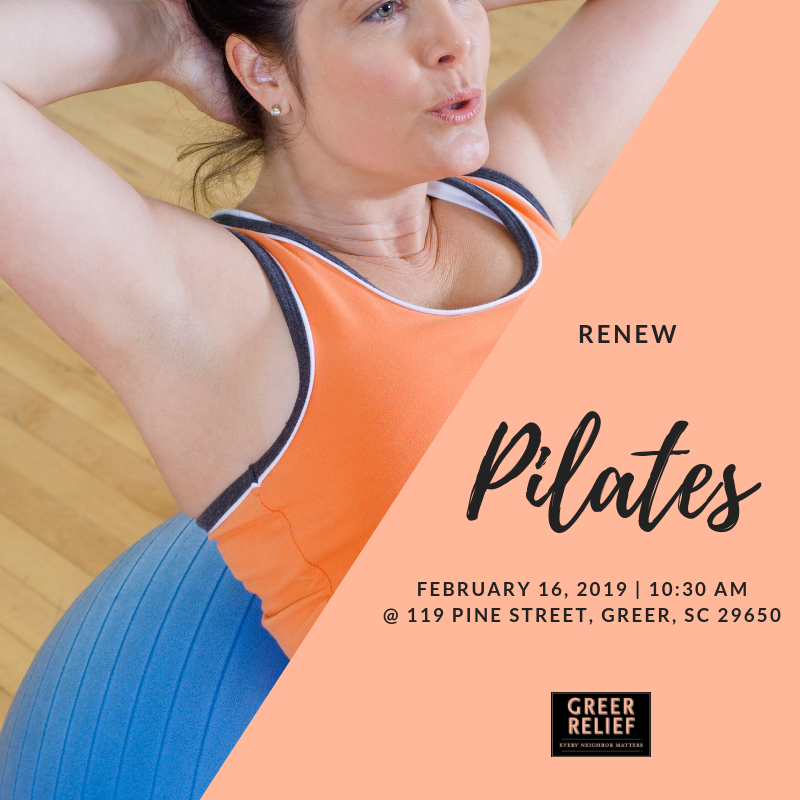 This class will be held on February 16th from 10:30 AM – 11:15 AM at 119 Pine St. Greer SC 29650. Only adults 18 and up will receive a RENEW Reward for attending this class. Regiter here .